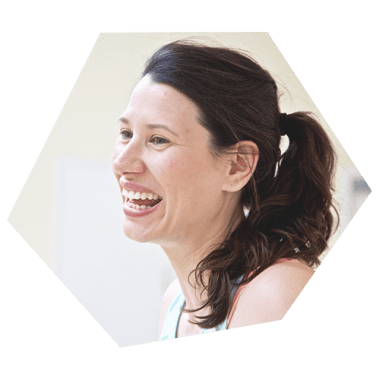 I’m a 30-something qualified Pilates and Fitness Instructor who simply believes we all could benefit from a stronger, healthier and more flexible body that is free from aches and pains. Pilates is stereotypically seen as a type of exercise practised by celebs or glamorous, well-off women, but this really doesn’t do justice to what Pilates is about and who can benefit from it. 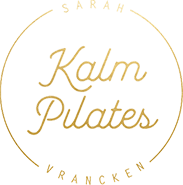 Kalm Pilates is my attempt to spread the virtues of Pilates, making it easy and affordable for people to discover how their body can be transformed without doing cardio-based, heart-pumping workouts. Raised in Belgium, I have lived in London since my early twenties for work and love… I adore this vibrant city and it was here I was able to indulge in my interest in fitness and qualify as a Group Fitness Instructor, Pre-natal and Post-natal Instructor and Pilates Instructor. As a mum-of-two, I know how fit you need to be for life… Being a working parent with two kids and a household to run is not an easy task. I stay fit because it makes my life easier and I can be the friend, partner and parent I want to be. I was really unfit in my late teens and early twenties. I didn’t do any sport and on top of that I also had stomach aches, which I thought was just due to having a sensitive stomach. I also suffered from mild back pain when standing up for a long time. Basically, my body was a mess, but I didn’t know it at the time. When I moved to the UK, I became a member of my local gym. It offered these amazing Circuit classes, taught by a Polish ex-body builder. I loved them. As I got fitter and stopped eating so much bread (which is a key staple in the Belgian diet), my stomach issues reduced. In my 20s, my workouts were cardio based. If I didn’t feel out of breath, I didn’t feel I had done a workout. It was only when I start teaching Pilates, I realised how wrong I was. My body dropped a dress size (even after having two kids!) and felt stronger and more flexible than ever after 6 to 9 months of practising Pilates regularly. Basically, my body is now in a much better place than it was in my 20s. It has shown me that ageing is not just based on time, it is based on how you treat your body. I also learned you don’t have to go to the gym five times a week to get results. It is about doing the right exercises and focusing on technique rather than just reps that will make the real difference. I believe in holistic health; if your body is in balance, it is less likely to cause you trouble. Regular Pilates and a healthy diet will go along way to keep you in great shape, at any age. Your body needs strength, flexibility and stability and if any of these areas are out of kilter, the results can be rather painful, ranging from muscle tears and neck pain to sciatica and back ache. My husband is a good example of someone who has always been sporty – football, rowing, swimming, gym,…– but has experienced more than his fair share of aches and pains. His workout routine was not well-rounded enough and issues such as plantar fasciitis, back pain and neck pain as well as postural problems, such as winged scapulae, kyphosis and a forward head position (protraction) were the result. Regular Pilates has sorted out most of his issues and has also increased his awareness of how important flexibility and posture is, which has changed the way he works out and has kept him injury-free for years. This has definitely been a current thread throughout my years of teaching Pilates; people come to my classes because they really want to change something… finding a solution to pain (especially back pain, neck pain and sciatica) to regaining core strength after pregnancy or starting exercise after a long period of no physical activity. It’s my greatest joy to see people improve as I know life is just a little sweeter when your body is in balance! And that’s exactly why I teach and why I set up Kalm Pilates.